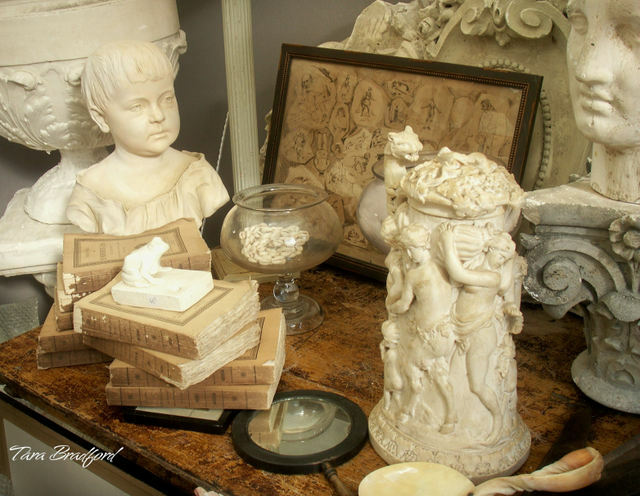 An artful arrangement of urns, sculptures, busts, 18th-century books and a sculptor's model at Sophie Pretelat's Anges et Demons stand at the Antiquities Brocante at Bastille. Pretelat's eye for acquiring unusual antiques and curiosities - and her styling skills - are frequently featured in books, most recently in Secrets d'interieurs by Michele Lalande and Gilles Trillard. 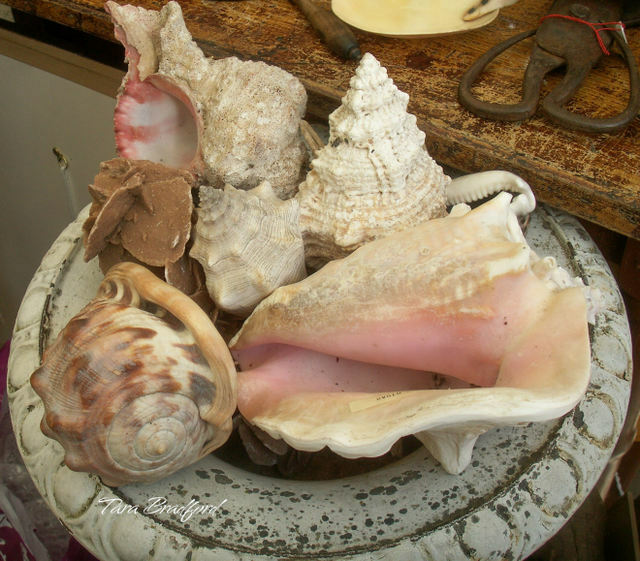 A 19th-century urn filled with lovely seashells. The brocante at Place de la Bastille continues from 11 a.m. to 7 p.m. daily through May 18. 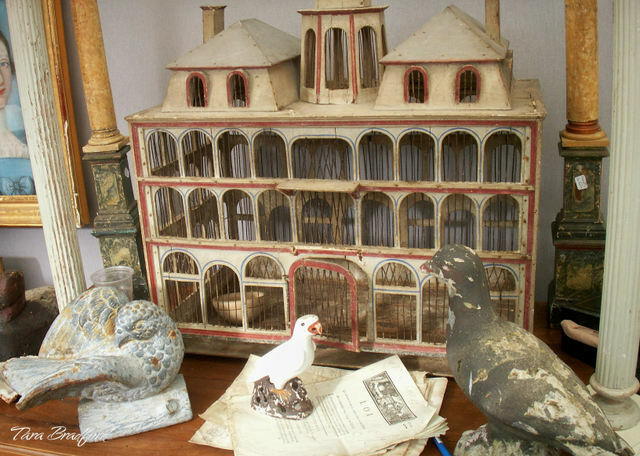 Stone and plaster birds, an antique birdcage and candlesticks and lamps at Anges et Demons. Visit Pretalat's shop at 14 rue Notre Dame in Cunault, France. 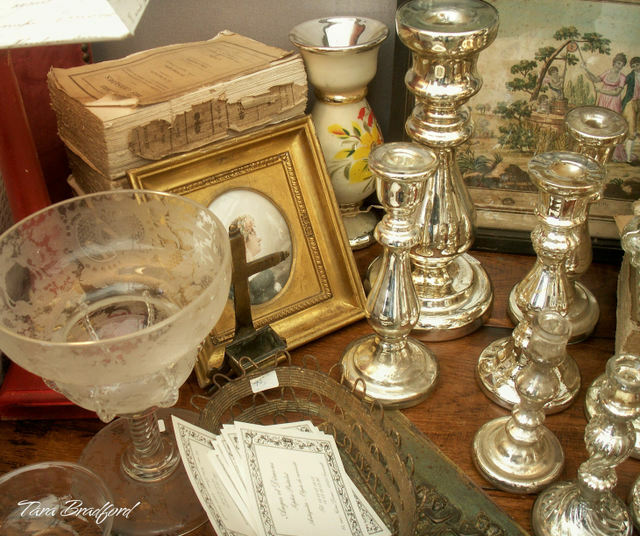 Mercury glass candlesticks, a hand-etched frosted-glass goblet, 18th-century books and a framed portrait make up this table display at Anges et Demons. Many more brocante photos to come! 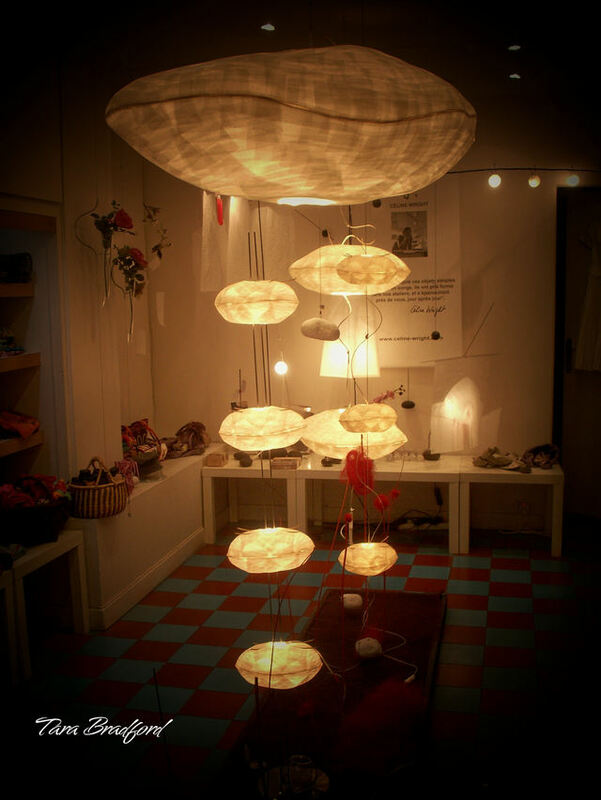 Sculptural "Cirrus" lighting designed by Celine Wright. The lighting is part of a collection of Wright's work sold in a little shop on Ile Saint Louis, Paris.